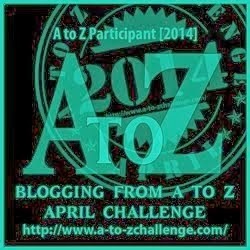 This April I am again participating in the Blogging from A to Z Challenge. The challenge is to blog thematically from A to Z every day, except Sundays, in April. My theme this year is ‘U2 Concerts from A to Z.’ I will pick 26 concerts from the 75 I have attended. Ideally, they would be my 26 favorite concerts, but unfortunately it does not always work out that way. Sometimes I will blog about a concert just because it fits the letter of the day. It is very difficult to find a concert that was in a city that begins with X or a venue that begins with Y, so sometimes I will have to be creative. I will only have a few letters whose blog post will not be about a favorite concert of mine. Keep in mind criteria for my favorite concert is more than just the set list, it is the overall experience. A concert can be a favorite because of the great time I had in the GA line, an amazing Larry moment, talking with Bono before the show, or something completely random. I will cover my favorite concerts and at least one concert from each of the five U2 tours I have been on: ZooTv, Popmart, Elevation, Vertigo and 360. But I will worn you the posts will be heavy with Elevation and 360 concerts because those were my favorite tours. Check back one week from today on Tuesday April 1st to see what my ‘A’ U2 concert is, then come back everyday after that (except Sundays) for the rest of the alphabet.